Author was inspired by problem automated manufacturing machines. The holy grail of the problem is an universal constructor machine capable of building itself and these 3D-printers are very close to that. A problem still haunts these machines: how do you create something of a certain size inside a something of such size (or even smaller)? 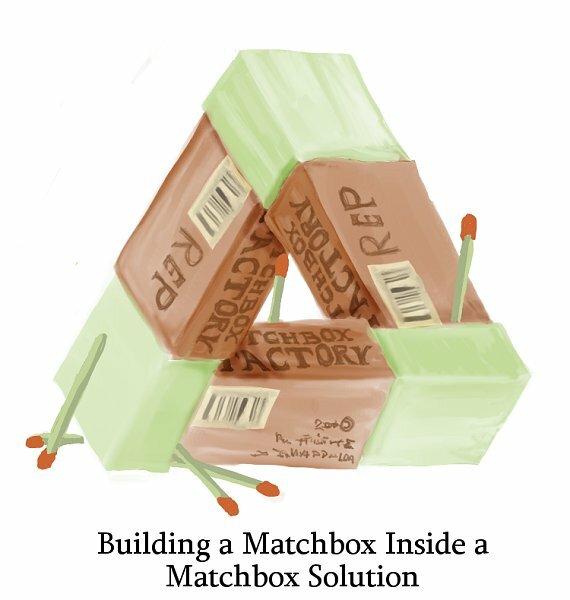 It's called the "Matchbox Inside a Matchbox Problem". The artwork below clearly describes this problem. The image was found at http://diggil.deviantart.com/art/Self-Manufacturing-Problem-321874335.